There’s a certain kind of courage required to get up after falling. To move forward again after grinding to a halt. Especially when what will happen when you stand, when you move forward, is so uncertain. It’s not an obvious kind of courage. Not the courage needed to walk into a burning building, face down an armed person, or take on a mob. It’s not even the kind of courage needed to challenge an orthodoxy or tackle an injustice. Instead it’s a quiet, shy kind of courage. It’s the kind of courage that helps you get up time and time again. Drives you to move forward time and time again. Each time a little less certain that up can in fact be achieved. Each time a little closer to the day when up will no longer be an option. Each time the courage to get up and move must be summoned while the possibility of both up and forward being achievable is in fact a lottery – at the behest of fate much more than one’s will. Falling (and its denouement – landing) is, by comparison, easy. Especially now that MS has taught me that how I fall, how I land, is no longer in my control. Nerves and muscles cannot react quickly enough to minimise the fall. The watching brain is reduced to the status of impotent viewer of a rather predictable drama it failed to anticipate and cannot mitigate. Falling is now simply an unavoidable drama – like the repeats of old crime shows and soap operas that litter our tv schedules. It’s a drama with only vital question – how will I land? Landing, by contrast, contains all the seeds of a good drama: danger; the unknown; the inevitable shock of discovery as the impacts make themselves known in a violent flash. The shock unfolds and the watching brain switches into detective mode. What hurts, what can I move, what will I do now, who can help, how bad will this be? Adrenaline and shock help the frightened soul and battered body through the first few moments. Pain kicks in to direct the brain’s attention to the obvious physical damage, and protect it a little longer from the more insidious, harder to treat, psychological impacts. The physical damage will mostly heal with time, medication, rest, exercise. That bit requires little courage, mainly just patience. But the psychological damage that falling does, well that requires something altogether harder to deliver. I have learnt to fall, learnt that falling can be resisted but never fully prevented when MS is your life partner. But I am still learning how to get up. Since what up means changes each time. Who I am, where I am, what is happening around and to me, all these change each time I fall. It took me a long time to realise that just because an approach had worked in the past there was no guarantee it would work the next time. Indeed there was a good chance that relying on the familiar routines will be counter productive. The muscle that once could be counted upon to aid the effort to get up no longer works, or has been the recipient of the latest fall’s damage. The meditation that once helped calm panic may now simply trigger it. The exercise routine may simply aggravate an injury or cause a spiralling depression as the progressive decline of capacity that is the most upsetting feature of MS is forced into view. From the most basic, like how to move safely into a comfortable position, to the most complex, like how to rebuild shaken confidence, what worked before may well not work this time. But here’s the tricky bit – there is no knowing until you try. Getting up after a fall is a lesson in the inevitability of failure to learning and accomplishment. There is no perfect way to get up, physically or psychologically, after a fall. There are some basic principles, and some lessons learned, that can be brought to bear. But whether they will work, and if they don’t what will, only the circumstances of fate will teach us. We crave familiarity, we human creatures. We seek routine, value the sensation of being skilled at something, feel good when we can think ‘aha, I know how to do this’. Our comfort zone is a very small space indeed, packed with what makes us feel (to use a lovely old Scottish word something akin to the notion of hygge) – cheery. It’s the cave to which we retreat when the world seems too big a challenge for us. Denied our cheery hideaway, forced out of the cave into the unknown world of a new now, we are left distraught, panicked, fearful. My old tricks are not working. That *should* have worked. Oh god I don’t think I can do this. But if we can hold on to the one anchor that will remain unchanged no matter what, we have a chance. That anchor is simply that we are good at learning from failure. Despite everything that our modern world thinks about the idea of failing, something older in us knows that there is no human accomplishment, from surviving birth to navigating death, that has not been the result of the simple mantra ‘try, fail, try again’. Every thing that was ever created by human hand and mind is the result of our ability to fail over and over again without giving up. I fell. I got up. I tried some things to help. Some old, some new. Some worked. Some didn’t. Everything changes, even change itself. There is no end to reach. No perfect. There is just constantly trying. There is a certain kind of courage required to get up after falling. The courage to try. I wrote a blog post here a while back about someone I loved, and the experience of grieving his loss. I write this blog mainly as a way of talking to, comforting, helping, my future self. But my words sometimes elicit a reaction in others which they share with me, and in that moment of sharing I get an unexpected by product of these missives to myself – a moment of connection that comes from knowing another has recognised something in my words. Which explains how I found myself on my train home tonight with tears streaming down my face, having just reread that original post. It’s the same journey I made travelling home from the hospice in Edinburgh the day he died. That day, also in summer, I got off the train at my stop, Leuchars, and looked up at a stormy summer sky full of angry clouds mirroring the stormy, angry, grief I was feeling. Then suddenly out of nowhere a military jet from Leuchars air base burst out of the cloud right above my head, and proceeded to fly almost vertically above me. The engine noise was absolutely deafening, and somehow it pulled out of me in a huge surge all the love and sadness and joy and pain of those last days losing him. And I just screamed a mix of elation and despair into the veil of that jet’s roar. It was as if the universe gave me that as a final gift from him. I didn’t scream this time, but smiled and cried and felt my heart overflow once again with love for him. Marvelled once again at how lucky I have been, how grateful I am, to have known him, had that love in my life. Perhaps all the more so since it was not a romantic love, but the love of two people whose minds and hearts and interests and passions found energy and comfort and joy in each other. The universe decided we were to be uncle and niece. But we knew, and shared before he died, that those conventions aside we were two people whose lives were touched and shaped and changed for ever by our love for each other. In that moment of connection with my reader today I was drawn back to the precious gift of connection with him. Reminded that it is in grief that we are connected once again to the experience of love and all the ways that transcends everything else in our lives. Death may have taken him, but it cannot take that. Not as long as my words find me again. Was it the notes reminiscent of a song you shared with me, drifting though the traffic noise? Or the screeches of excited kids running into the city square recently transformed into an ice rink? Was it the warmth on my shoulder, caressed into my otherwise frozen body by the heat of the previous occupant of that cold taxi inching me slowly through the Christmas crowds? Was it simply the shockingly early darkness of a Scottish winter evening? We laughed often of the madness of living here in Scotland – we two, the sun lovers, the wanderers. You teased me every winter when I complained, reminded me every summer when I told you of how much I gloried in sitting out at nearly midnight, darkness only just fallen. Maybe the grief just sits there all the time, waiting for a good moment to pull itself up out of the dark corner it calls home, feeling its way into my heart. The back of a slow moving taxi on a dark Edinburgh evening probably felt perfect. A safe space. So there it was. The familiar dark pain sliding its way through the ventricles and arteries of the softly, persistently, aching heart you left me when you left me. As ever the grief shocked me with its impertinence, the violence of its desire to be felt once again. The tears welled up through my now inflamed and raw again heartache, up through my clenched throat, up through the years of missing you. Up through everything the universe had stolen from us too early, too quickly. Every laugh, every shared outrage at the world, or the state of the media, or the impossibility of finding a pub without muzak. Every phone call chattering about the latest book read or film seen. Every meal sharing our inability to reconcile the things we had seen and experienced with the honest conviction we both shared that life is so inexpressibly, beautifully, full of wonder. Every email revealing ourselves to each other again as undimmed in our belief that things could be, would be, better someday. We two faithless, godless, souls found common ground in the common good. Believed despite all the evidence to the contrary in the essential goodness of humanity. Could rage with anger at the injustices of a world overrun with heartlessness and cruelty one minute, and weep with joy the next reading extracts to each other from Jimmy Reid’s Rectorial Address to Glasgow University. I sat in the taxi and realised that of course it is only when the grief finds its way back in to my heart that I remember most fully all the love we had, all the love I still feel for you. You made me believe in joy, helped me face horror, taught me that asking questions was far, far, more important than answering them. Ah grief, what a strange kind of blackness you are, shining a light into my aching heart. Bringing his love, my love, our love, back into the light. Never leave me, grief. Never let me forget to feel all the love we had. Come back whenever you can. Unexpected tears in the back of a taxi are a small price to pay to find my way back to that love. A small embarrassment to endure that I might once again unleash the wonder of a life that has known such love. I went home the night of my taxi ride and sought out the song you played for me on a different night, nearly 40 years ago. The night I asked you about the photographs I had seen in your study. Photos that had left me shaking with fear, and a need to ask questions. The night you told me what you had seen in South Africa making your film about Steve Biko. You gently unleashed the horrors of the world on your curious young niece and immediately equipped her to endure them by stoking not quashing her natural curiosity. Equipped her by sharing the beauty of the world as you revealed its darkness; for when you had finished gently, truthfully, answering my questions you played me your new Miriam Makeba album. It was that night the never ending dance between darkness and light that is life become clear to me. I went home the night of my taxi ride and I let Miriam unleash expected tears this time. So that I could thank you for everything you gave me, feel once again the love that we shared. And remember once again that grief is simply the key to love. I don’t feel angry for long anymore. Just a few moments. I’ve learnt you can’t allow yourself to feel that angry that often. Just long enough to make your point, or file away under the Life as Disabled Person (Indignities Of). Travel is the worst of course. And air travel the worst of the worst. I have 2 full time jobs. One I get paid for and one I don’t. The latter is living as a disabled person in a world that exhibits a pro-active disinterest in understanding my needs. I depend on crutches to be mobile. They are my legs. To travel companies they are ‘hand luggage’ and treated with the same lack of care everyone’s hand luggage is..to be chucked in a crushed overhead locker. Though that is if the flight attendant has decided that’s where they should go today. You see as well as the obvious physical barriers to travel as a disabled person, you need to adapt to the world’s desire to infantilise you. Everyone now has the right to tell you what to do or take your control away from you. “You have to give your legs to me.”… “You have to put them in the overhead locker.”.. “You have to give them to me”. Let’s say today it’s ‘you have to give them to me’. 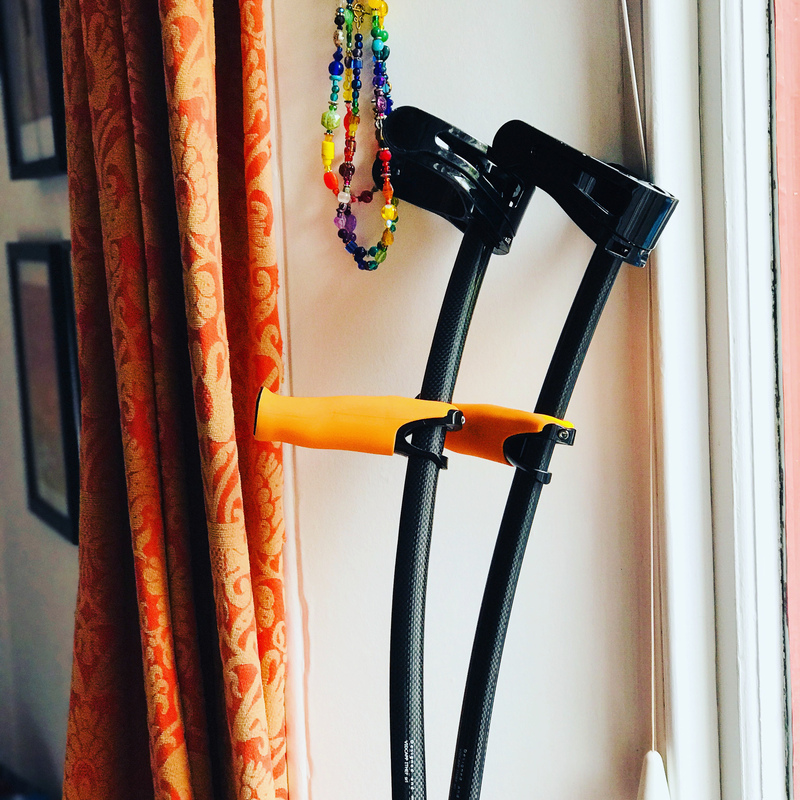 Now let’s say that as you patiently hand your crutches to the attendant the next time you are flying she snaps at you, ‘You have to put them in the overhead…’ with that same look of ‘how dare you’ reserved for someone asking them to put their bag in the locker for them. People behind you tutting as you hold up the boarding. You struggle to rearrange baggage to get them in to the already overcrowded overhead lockers, to be squashed and (on more than one occasion) broken. Imagine if every time you boarded a plane you had to remove your legs and put them in the overhead locker? How many times have you sat for a whole flight fretting about whether the guy who boarded late and shoved his huge heavy bag in on top of your stuff has wrecked your coat or broken that bottle of whisky you bought in duty free? Imagine now if instead of spending the entire flight imagining that broken bottle or ruined coat you were imaging your broken legs. Fretting about how you’d get off the plane, let alone get home, without them. You arrive and now, legless, you must stand up and struggle to get your crutches out the locker, hoping they have survived, tutted at as you slow down the expert ‘de-boarder’ desperate to be first off. I’ve given up guessing what ‘the rule’ (as I am firmly told exists if I query the ‘rule’) is that airline, that day, that flight attendant. I have flown on the same plane, same route, same company twice in 2 days and found the ‘rule’ changes. When quizzed where this rule comes from, where the training manual or guidance is that this ‘rule’ is captured in I am given the ‘how dare you be pushy you’re a cripple you should be grateful’ look. Only when pushed will I hear what I have heard repeatedly ‘it is not written it’s how we are trained…’. My right to dignity, to self-determination, to safe and secure treatment of my ‘legs’ is not a given. It’s not even a regular occurrence. It’s the exception (almost always, it turns out in conversation, because the flight attendant has a disabled relative). Does this make you feel a little angry on my behalf? Or sorry for me? If it does well frankly my dears, I don’t give a damn. Your pity will not fix this. Only your active concern and campaigning will. Not for me, don’t kid yourself. You should actually be doing this is for yourself. I don’t feel angry for too long anymore because I can’t do that too myself. I just sit safe in the knowledge that almost certainly sooner or later it will be my tormentor’s turn. Your turn. Everyone’s turn. Though I may not get the satisfaction of being there when it happens to you all, I do have the satisfaction of thinking right now … I told you so. Even better than feeling sorry, how about you help me sort this out right now? You see the pity runs the other way. I watch you all traipsing freely through the world and feel so sorry for you, knowing what I do about what one day, sooner or later, for a long time or a fairly short time, will be your fate. Sort this out not for me, but for your future self. Legs seems to be in the news a lot these days. Women’s legs of course. It’s hard to imagine a man’s legs giving cause for so many miles of copy to be written opining on the relationship between legs and character or judgement or worth or ability to undertake a professional task. As I watched the misogynistic marginalia that so often masquerades as journalism these days scroll by, I found my mind wandering back a few years. “Oh poor thing, how sad for it. Do you want me to work on it too?” An unlikely sentence to precipitate an emotional outpouring. But precipitate an outpouring it did. For the first time since I had acquired the MS nerve damage that had (despite my best efforts at exercising it) been eating away the muscles in my left leg and reducing my ability to lift my foot properly, my left leg was to be the object of my compassion, and later my pride and gratitude. I’d gone for a massage on my right leg, just my right leg I had firmly told her. My “good leg”. Doing so much work to compensate for my “bad leg’ was creating a lot of wear and tear on it. Needless to say, my right leg had come to feel supremely important. Without it walking would be impossible. I spent huge amounts of time thinking about it. Worrying about it. Every niggle or spasm overthought. Every cut or scratch or bump over-attended too. Care lavished on it. My other leg was an afterthought, or more accurately a banished thought. I couldn’t bear to look at it, I hated the feel of it – so different from the other leg which was free of the loss of sensation both touch and proprioceptive that afflicted the left. When that physiotherapist referred so caringly to my left leg I was overwhelmed by the realisation of how much I had disassociated myself from my “weakness”. From this thing I dragged around with me everyday. The thing that slowed me, caused so much pain and discomfort, kept me awake at night, pulled me off balance, stopped me doing so many of things I once loved. ‘What doesn’t kill us makes us stronger’ was missing a coda as far as I was concerned: ‘though we will harbour ill will towards it nonetheless’. But with that physio’s words, like a cork un-skilfully loosed from a Champagne bottle, all my conflicted, sad, angry, confused feelings about being impaired bubbled over. My physio reassured me quickly, telling me this happened a lot. Having someone else touch caringly the thing that you have come to hate often unlocked strong emotions. I can’t say my negative feelings about my left leg changed over night. But slowly over time I learnt to listen to the things it wanted to tell me. That it was strong in a different way. That it responded to love and attention just as much as my other leg. That it may be impaired but it’s still a part of me, still has a role to play in my life. Just not the role I thought it would play. That it had things to teach me still. Reading so many articles focussing on womens’ appearances and not their actions I was reminded of that day in the physio room. Reminded of how easy it is to fall for the crude stereotypes so much of society seeks to force down our throats. Good and bad. Worthy and not worthy. Useful and not useful. Valued and not valued. I was also reminded of this again recently watching the video of a dad talking about his feelings about his child with Down’s Syndrome. Reacting to his failure to explain clearly to someone that his child’s difference brought joy and beauty to his life, he was overwhelmed with the emotion of realising that in a world full of prescribed boxes for right and wrong, good and bad (people, behaviour, abilities) the world was refusing to know that his child’s difference was not a source of shame but of power and love. That he was being lifted up by the thing so many thought was holding him back. It’s a realisation I recognise from my life as a parent too. I seem to spend so much of my time trying to stop myself and others putting my children into boxes. Trying to undo the damage we inflict on ourselves and others when we buy lazily into those stereotypes and narratives. Trying to see what is really there, and not what I have been pre-programmed to see, to value, to love. Allowing myself to be held by their uniqueness, their being, and not hold back by some pre-determined notion of what and how they should be. It’s not easy to shake off those stereotypes of course. I slip often. My MS relapsed recently and as I emerge from that time my resolve to treat MS as a part of me and a valued teacher weakens, as it often does. When a relapse pops up I get pre-occupied by being busy ‘coping’. It’s when it begins to remit that my fears and lazy, infected, thinking fill my mind with thoughts of weakness, fill my heart with fears and anxieties. Those lazy, misogynistic accounts of women’s actions reminded us that society will still try to use their gender against them. Just as the fact that they are not bowed or stopped by the reaction reminds us all that try as you might using a women’s gender to ascribe weakness or any other negative trait or behavior is no longer a guarantee that you will hold them back. My left leg, my children, each new day, all are constantly teaching me that what the world wants us to think is holding us back is often the very thing that holds us up. We just need to remember to stop now and again and look carefully in the very moment. To and fro he lurched, his large electric wheelchair bashing into the enormous space for luggage that complicated his exit route. That he’d got that far was actually quite something. The positioning of the ‘wheelchair space’ (its occupant just an afterthought) was so awkward I was amazed he’d got in there still less out. Behind me I could hear tutting and an exasperated “oh come on”. The woman he was travelling with was encouraging him with an admirable, but I knew fake, ability to ignore the rising tension around her and outside. It was stubbornness and the swallowing of anger that was getting her past the collective willing of her to just take control and shove him of the bus quickly. This was his chair, his journey. It was not in fact his (quite severe) disability that was the issue. It was the design of the bus. Brand new and yet, as she noted loudly, much harder for people in wheelchairs to access than the old design. The seats were more comfortable, for the able bodied. Fewer handles and poles, a narrower corridor, all making the space for the able bodied easier to access. A larger and more awkward luggage space favouring those able to carry luggage. But for the elderly and the disabled? Progress, as the saying goes, is unevenly distributed. As he finally made it to the door he met his biggest challenge. The tight angle made it almost impossible for him to get the right positioning for the ramp. Several attempts finally resulted in near tragedy as the wheels slipped and the chair tipped forward. A woman outside managed to steady it and his companion – alternating between apology and astonishment that people were not leaping to help more quickly, corralled people into action “I need a couple of men, come on! Lift it down!”. At last he was liberated from the bus and we could continue. A woman behind me muttered to her companion – “I don’t know what this country is coming too.” But her tone told me that the object of her complaint was not the same as mine. My mind wandered back to a visit just before Christmas to a large department store in a recently built building. Looking for the disabled toilets in vain (the signage was very poor) I was finally pointed to a hidden away spot. The ‘disabled toilet’ was small and the arrangement of the facilities (in common with most disabled toilets I’ve been in) impossible for all but the most physically strong person in the smallest manual wheelchair to get on to. The toilet was right next to a spa treatment room, which probably explained why what little space there was also served as storage space for oils and towels and the other accoutrements of the self-indulgence industry. The irony of the unguents of the pampered well preventing those whose bodies are a constant source of pain and discomfort (that no ‘hot stone therapy’ will ever put right) from going to the toilet was not lost on me. I wonder if it’s a time for a National Let’s Pretend We’re Disabled Day? A day for all those whose bodies function within ‘normal parameters’ to spend every moment imagining how their environment, how their day, would feel if they had a disability. Would it help? Would we all suddenly feel the sense of rage and anger and shame and sheer bloody exhaustion that so many disabled people feel every day trying to navigate a world that for all our advances still chooses to disable us. For it is a choice. Choose luggage space, choose storage space, choose more comfort for healthy travellers, choose to spend money on new sofas for your able bodied staff instead of accessible doors for your disabled staff. Or choose equality. Choose equality because one day almost every single able bodied person won’t need to pretend to be disabled. They will be. If disease or illness or accident doesn’t disable you, old age almost certainly will. 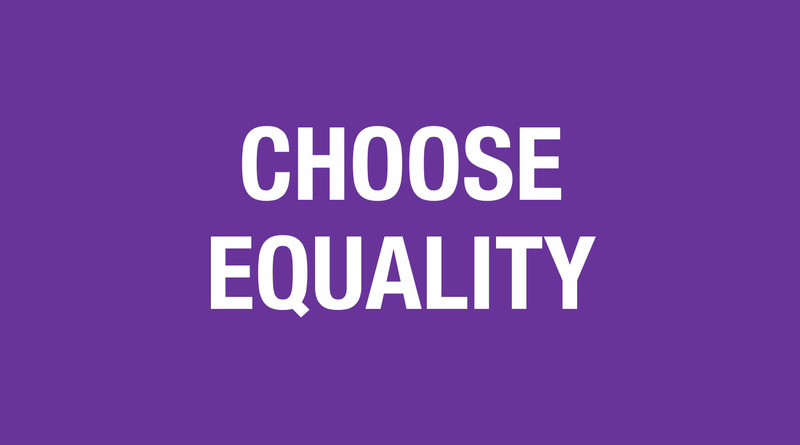 Choose equality. For your future self. Was it just last night? We three, sat there, safe in each other’s open and curious minds? Ideas and laughter were flowing, eyes sparkling as we bounced around ideas for fun direct actions to tackle the daily experiences of discrimination we had experienced as disabled people trying to manage in a world that still does its very best to put the disabled in disabled people. We felt angry, excited, amused and energised. All those years ago sitting in cafes and bars planning marches, events, actions to tackle LGBTI discrimination. My body tingles with a visceral memory of those days, those hard, exciting, scary times. The mid 80s in Scotland were not a comfortable or even a safe place to be a young lesbian. We lived with fear and violence and discrimination every day. We were angry, but we were also joyous. Why is it so hard to feel like that now? Is it because I am older? We looked at each other and understood how important this was, to talk like this. To let out the anger and fear was good. But there was something else… We were letting out the hurt. The hurt at how unjust the world’s apparent inability to notice all this was. All the able bodied people who seem incapable of really taking on board what it is to haul ourselves through a world with endless barriers. How it feels navigating a journey full of obstacles only to find yet more as you try to get into your place of work. How it felt to piss yourself on a train for want of a disabled access toilet. How it felt to be stared at with anger and disgust and fear intermingling. But there was something else. Deeper. Darker. More shameful. She asked the question I knew the answer to but felt so afraid to say. I said it. Safe here with these amazing women. I saw it flash across her eyes – the recognition. My heart sighed contentedly and I instantly felt less pained, less ashamed, less distressed. In that moment I knew everything had changed, would change. My struggle to be a disabled rights campaigner was about to shift gear. I was home. Today is a new day. Today is a joyous day. I see it everywhere – recognise it. The challenge of living with uncertainty. For almost everyone I know the last year has left them feeling like the jigsaw pieces have been thrown up in the air, and they have no idea how they will land. I recognise it because it’s how I live everyday, and have done for years. Never knowing what my multiple sclerosis (MS) will bring that day, that week, that month. Never able to pretend that the future is fairly predictable, that my current cognitive and physical abilities will largely persist. Never lulled by the chimera of a life set to unfold along a fairly set path. For reasons that I hope will become obvious I offer here some of my lessons on living in an age of uncertainty, not as ‘tips’ or ‘tools’ but as reflections, told to myself, for my own aid alone. If they happen to interest or resonate with you, well that’s icing on the cake! We all at some level accept that change and uncertainty are part of life. However the massive amounts of effort humanity puts in to avoiding those things betrays our discomfort, our fear. From building cultures to building walls, from organising ourselves to amusing ourselves to death, we have become ninja warriors of denial of the simple truth of life; that all, as the late Zygmut Bauman so beautifully suggested, is liquid. We truly do live our lives swimming in stormy weather, whether we recognise it or not. I see so many friends looking around for others to help, or guide, or accompany them as they learn to swim in these newly stormy seas and can’t help but feel a sense of dejá vu. “OK. So I haven’t drunk anything. I don’t think I’m sick. I’m pretty sure the world is not rocking on its axis, and this wall doesn’t seem to be moving either. So what the hell…” I’d walked that wall near where I was staying many times. Not at night admittedly, and I had noticed that my usual sure-footedness seemed a bit less reliable than usual recently. But I’d put that down to the stress of the situation I was in. So why the hell couldn’t I do it tonight? I’d learn why a year and a later. Meantime I just tried to right myself as best I could, and carry on as if nothing had changed. Was changing. It got me through the night, got me back to base. But as a strategy it was to cause me a whole heap of problems in the years to come. The levels of change and uncertainty I would soon learn were to be my lifetime’s companions I could never have anticipated back then on that wall. Still less standing in the rain outside a hospital a year and a half later, trying to understand what I just been told and finding myself woefully unready to be a person living with multiple sclerosis. MS has taught me that when the pieces are permanently up in the air, step one is make it your uncertain world. I named my world the sea, my experience swimming in stormy weather. Almost immediately it felt less strange – after all walking with ease on land was now a distant memory. I suspect the greatest gift MS has delivered is that doing this, writing to myself, is my lifebelt. Like most travellers in a new land I felt impelled to look for guide books and lifebelts around me, and boy are there plenty of those. From online advice sites replete with everything from the bleedin’ obvious to quackery of the highest order and from the mountains of self-help and self-improvement books that overwhelm our railway and airport bookshops, I started to drown as I swam alone in a sea of abstract thinking and other people’s words. I lost sight of the only concrete thing I have, the only solid thing I have, to accompany me on this journey called life: my own thoughts about my own experiences filtered through my own history. It was to take many years but eventually I understood that ‘the answer’ could not be found ‘out there’. Eventually I would connect the skills of observation and inquiry that my professional life as an ethnographer had gifted me with my love of writing and craft a lifebelt that fitted me perfectly. I learnt to sift out the noise, and in the stillness I learnt to do the most importat thing I could do for myself. I learnt to find my own words. Being diagnosed with MS brings with it a language crafted my medical professionals, for medical professionals. A shorthand, as all professional languages are, that allows them to communicate amongst themselves. But without the years of education and the experience of daily use they had, as a patient suddenly I had to acquire these words. Words other people invented for what I was feeling, for what my body was doing to me. It’s not surprising it left me confused and afraid. But there was more. I had to try to grapple with the languages of science and pseudo-science that accompany the tidal wave of therapy, support, self-help and improvement most of us will be quickly overwhelmed by whether we seek it or not. Is this depression or anxiety, or both? Am I sad, or is this grief? I went to therapists and found myself spending as long trying to learn ‘the right words’ (i.e. their words) for my feelings and experiences as I did trying to simply feel or live them. I quickly lost sight of the shores of my own understanding. It was lesson three that would guide me back. Is it because it’s a new challenge we often feel so compelled to look for new guidebooks? Or are we just flighty creatures: blackbirds drawn to the latest shiny thing in the environment? Engulfed in other’s understandings and languages it’s easy to forget that we have our own experiences and history to help us with these changes..
MS doesn’t like to be overshadowed. It notices when I forget it, when the world around me has my attention. Ever the attention seeking narcissist, it’s decided to rear up and give me a shake. ‘Hey, look at me, I can make your arms and hands messed up too. Bet you didn’t see that one coming! Oh I’m sorry, have I made you scared again? Am I making life harder again? am I changing things for you again? Well good. You think you have this. Pah! Puny self-deluded human!”. The pattern, my pattern, kicks in. Deny. Accept. Retreat from others. Put my game face on. Freak out quietly behind it. Become tense and angry. Creep over to the water’s edge. Dip my toe in. Pull it out. Put it back. Run away, find a hideaway, curl up in a corner and cry. I curl up and cry, until I remind myself that noticing the pattern is one of my old guides. Until I remind myself to look for the rest of my old guides. Literature, music, an opera house, laughter, my garden, and this blog. These are my guidebooks. These I know from many years experience are what will guide me back in sight of shore. I keep them on the shelves by my bed, in my devices, my bag, and in my head and heart at all times. I go back to them over and over, in good times and bad. With these there is no need to over think, or translate unfamiliar language or concepts, or consult the glossary. I pull them out and put them to work. As I feel myself drown they hold my head above the waves long enough to get swimming again. I will never ‘master’ living with MS, let alone the rest of life. I will never ‘Get it Done’ or perfect my ‘Life Hacks”. Despite the world’s endless enjoinders to ‘be the best you can be’, to constantly improve, to get it right, I am destined to swim badly in stormy weather always and I am (at last) fine with that. No, not just fine. I am embrace it, I celebrate it. Just as walking is falling then catching yourself (well if you walk normally at any rate, something I no longer do!) my life seems endless round of sinking and bobbing up for air. Of drowning/not drowning. Both have their positives. Sinking brings a sense of suspension in time and space that offers an opportunity to feel and see and think more intensely. Bobbing up brings a sense of rebirth, a chance to see and feel and think anew. I celebrate my poor swimming, it gifts me new ways of thinking about my life. I will never learn to be strong swimmer here, never escape back to dry land, but I am very, very good at drowning/not drowning. I rejoice in that. Both sinking and bobbing up strip away the noise and complexity and distractions of the everyday and allow us to simplify. When the waters are at their stormiest I make lists of simple things to achieve each day. Tiny lists at first. But they soon grow, I soon grow. I celebrate my tiny achievements – those tiny, inadequate, glimmers of hope. The world’s noisy insistence that I be ambitious, that I achieve, succeed, becomes driftwood. I see them floating in the distance as I drown/not drown. But I have no time to attend to them any more. I am here in these stormy seas to persist as long as I can, to battle up for air as often as I can. Anything else depends on so many other things beyond my control that to be seduced by the sirens of success, or riches, or ego, seems ridiculous. I happily leave that for the dry landers. These stormy seas define me and my time here on this planet. I have room to splash about, but no more. This is not the dry land I imagined my life living out on, was told it would play out on. I was not prepared for these stormy seas. The jigsaw pieces were thrown in the air that night on the wall. The picture of a landscape became a seascape. I fell in, and I learnt to swim in stormy weather. This may be an age of uncertainty for many of us, but handily enough we humans are incredibly adaptable. We may never get back to dry land, but we’ll make something of these stormy seas. We will make ourselves a home here. It’s what we do. I’ve spent the last couple of years as part of a team of users researchers and service designers working on (mostly) digital public services transformation at the Scottish Government. It’s been challenging, exciting, infuriating, exhausting and deeply enriching. My team work across a huge range of central government and public sector projects – from the new social security service for Scotland to employability services to healthcare. We’re on a mission to help people delivering new services design them from the service user’s point of view, and do that with and not just for those people. Or rather we’re on a mission to help those people learn how to do that in ways that enable them to work across organisational boundaries and collaborate, share and reuse wherever possible. Now like many of us in ‘specialist roles’ in government I am not a career civil servant, and have no desire to be one. Most governments I am aware of have two kinds of civil servants – specialists and generalists. The UK civil service (in the kind of complex arrangement that governments often need to make, Scottish Government civil servants are part of the UK Civil Service although with some differences in organisational structure and allegiance) was designed originally by and for generalists. It’s still working through how to manage specialists and inevitably that leads to tensions on both sides. But then I know very few user researchers working in places where we are ‘in the woodwork’ or even understood well, so in that respect no change! I’m a design ethnographer who happens to be lucky enough for now to be practicing her craft in a uniquely rewarding environment. At this stage of my life and career what motivates me is the desire to do what I do in places that need it and where I can add value. After two years I continue to believe that the practices and values of design are a good match for a civil service adapting to new realities. In my head there is a straight line from the desire to pass power to people and communities Scottish Government is committed to and the world of design. But it would be disingenuous to suggest that joining the civil service is not without its challenges. I spent my whole life avoiding large highly hierarchical organisations and here I am in the mothership of bureaucratic life. These two years have convinced me that people like me are needed. However persuading people like me to come in for a while is hard. So here’s a short field guide to a life in government for user researchers. Wherever you are there is a good chance your government needs you. Sometimes it knows that already, sometimes not, and most times even when you get in there it won’t really know what to do with you. But you are needed, for reasons I will come to shortly. Let’s be honest – we can’t offer big salaries, stock options or relocation packages. We can’t offer travel to exotic places and opportunities to work on cutting edge projects. But the scale of the challenge, the impact of the work? Well there we’re on to a winner. Doing ‘a stint’ in government will give you exposure to some amazing challenges. But it gives something else, a bit more subtle but in my mind even more valuable for a career. It gives you a chance to really learn how to design ‘in context’. Joining the civil service has given me an opportunity to really explore if, and if so how, design is of value in the everyday doings of government – the delivery of services, the development of policy, the creation of the administrative apparatus of the state. This is government. Lives. Get it wrong and people hurt. This is big and complex and the stakes are high. But these two years have convinced me that what design offers to government is simply this – a straightforward toolkit of ideas and ways of working oriented to the idea that before we solve a problem we should really understand the problem with the people who have the problem. Only then should try to solve it by making solutions iteratively, with the people who have the problem. Finally – all the time we are doing that we remain open to the idea that our exploring and making may reveal a better understanding of the problem that will change our thinking about the solution. Rambling through the beginnings of an answer to that curious student’s question it struck me that there are parallels between being a design ethnographer and an ‘outsider’ inside government. In both roles the entry to the new situation creates a sense of disorientation and shock. The unfamiliar, the uncertain, the downright weird, abound. We are forced to swiftly try and adjust as best we can. As an ethnographer this moment is especially valuable – the physical environment, patterns of behaviour, social systems, material culture, knowledge, beliefs and symbols of the new place are most readily available to us as we encounter them for the first time. We become excited, focussed, desperate to start describing and making sense of what we are experiencing. As the new civil servant, on the other hand, we often feel overwhelmed or sometimes angry ‘why must I do this this way?’. And of course just as the new ethnographer in the field encounters, the ‘outsider’ civil servant will also encounter fear, suspicion, disregard. The experience of the new exhausts us quickly. Resistance, of course, is futile but also an all too human response to a new situation. We don’t like to let go. As babies we are born with an instinct, a reflex, to grab hold. But none to release. That needs to be taught. Clinging to our beliefs, our routines, in the face of all this newness we begin to consciously try and adjust ourselves to our situation. At this stage though we still feel awkward, still hyper aware of the differences. But we look for the places where we can fit, albeit at first awkwardly, into this land of the Others. Soon enough we start to find them. Then just as quickly we encounter the challenge of working out if we are bringing something new or simply the old in new clothes. Luckily the ethnographers training is useful here – constantly questioning both the sense of difference and of similarity. It’s that constant questioning, the looking for the why beneath the why beneath the why, that will keep you right at this point. Government has been around an awful lot longer than design thinking or user researchers. As we know from our training don’t be fooled by the illusion of ‘system’ – this is human social life in all its messy and complex glory. Take some time to embrace the messiness. With time we begin to notice that some of our adjustments are becoming automatic, routine. We no longer need to think quite so much about them and we begin to notice more frequently similarity in the activities and people around us. As we adapt we also begin to move from the changing to the changed ends of the experience spectrum . Where once we had to think about a particular act such joining in with an unfamiliar task or censoring a thought before sharing it publicly now it starts to come more naturally (well, mostly). Sometimes we notice ourselves adapting, question ourselves about the accommodations we are making. As an ethnographer we try to stay especially alert to this as we worry about the point at which we might lose sight of our duty to describe and interpret consciously. As an outsider inside we begin to notice the uncomfortableness of being charged or encouraged to bring new ways of thinking in without a clear map of where these are likely to be needed or welcomed. Despite the moments of discomfort this is a moment that often brings a sense of relief. The energy spent consciously coping with the new now diminishes, at least a little, and is freed up for other things. As a civil servant this energy can be refocussed on the ‘insider’ (emic) view – we begin to feel closer to those who once seemed exotic, work harder to see past the superficial differences. Adapting can bring moments of insight as we see opportunities to learn as well as change, or begin to question our values and beliefs, no longer so sure of ourselves. We also begin to notice that many of those ‘career civil servants’ are in fact outsiders inside as well, they’ve just been inside longer. And we begin to fall in love. 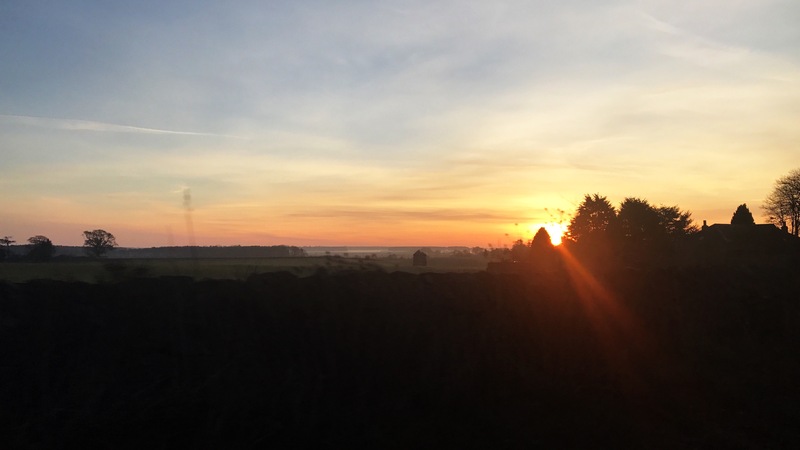 I know, we don’t talk of love and work in the same breath usually, but ethnographers know that falling in love with our fields is just one of those things that can happen. This is also the time to really ask ourselves, in the words of David Byrne, ‘what am I doing here?’. Can we see where we can add value clearly, are the conditions right for us to be able to deliver it? Do we need to understand more, or adapt or practices more, or build our alliances more? Acceptance. The moment when we fully lose sight of what was once so obviously new to us. An ethnographer worries about this – the interpretavist stance dropped as being part of the action melds into simply being part of. Belonging is the state of deep acceptance of and comfort with the community and context you are in. As an ethnographer we shy away from this, keen to keep that clear line between me, and me in the field. But as a civil servant, should we perhaps not seek the moment of acceptance? After all, this is a community with a very clear, consistent and strong sense of identity and culture, so much so that outsider or not we all sign up to the Civil Service Code. Well the answer to that I am afraid time only can tell – I am not there yet. I’m conscious I’m teetering on the edge of going ‘native’, but not sure what I’ll do when that happens. But what I do know is that these last two years have provided me with a depth of professional experience and growth I struggle to imagine finding elsewhere. Joining government convinced a) it’s broken and b) you have the fix is a recipe for disaster. Joining government with a desire to understand, and then help, well that’s more likely to leave both insiders and outsiders with a good feeling. I’d encourage any of you who ‘hear the call’ to think about accepting, but only if you are ready to go in to government with the same open and learning stance as you would any field. The salary won’t be great, the travel won’t be glamorous, the frustrations will be numerous and you may never feel that what you are doing is deeply valued by the organisation itself. But you will learn more in government about your practice than you could ever imagine. You will learn more about complex messy human systems than you could ever imagine. You will remind yourself that lazy stereotypes about civil servants are just that, lazy stereotypes. Ultimately, the best reason to do ‘a stint’ in government is the same as the best reason to do anything on this beautiful planet – to grow.